The cereals have accompanied man in his development and in its history: wheat (Egypt), corn (Mexico), barley (Greece), rice and millet (China), rye (India) were the main source of ancient power of man. Today nutritional science confirms the validity not only in food but also healthy. Protein, vitamins minerals and fiber are the assets that make cereal dispozine to improve diet. 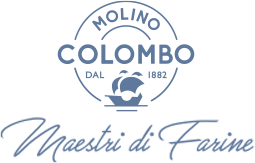 To satisfy a demand that has not forgotten these values Molino Colombo has created the line “Molino del Sole” for bakery. It is a mix designed specifically for the preparation of Arabic bread with oat flakes and acceptable to consumers for its softness. The mixture of the best wheat calibrated with natural ingredients you get a baguette from the crust thin and crispy,characterized by a soft crumb finely structured and well balanced. The presence of milk in powder gives the bread a delicate taste. Mixture of cereals and seeds, high in fiber and vitamins. The bread has a delicious taste particularly pleasant. Allows you to prepare a bread rich in crude fiber, perfectly in line with the latest food trends. The roasting makes the delicate flavor of bran and produces the smell of bread than once. It is a mixture of soft wheat flour and potato flakes which give the bread a unique softness in line with the trend thatconsumers want more and more attracted to this type of characteristic of the bread, combined with a taste very well characterized. Gransol gives the bread a rich taste, a soft interior light with a pleasant sensation of crispness due to the particular granulonometry of flour corn meal. Germosol is produced with the best durum wheat semolina, which gives the bread a flavor and fragrance. The crumb hasthe typical golden color of the bran. The presence of flour and wheat germ enrich its nutritional content, giving the bread as lightly nutty flavor. From the standpoint of healthy corn fibers and oats are a natural protection against cholesterol. It is a delicate blend of “00” flour, wheat, barley, oats, whole milk in powder. The bread is light with a fine golden crust andvery delicate flavour. Pansol is suitable for the production of soft sandwich rolls. Risosol is a product that gives to a delicate flavor to the bread, the crumb is soft and you get a soft bread that keeps well. Particularly suitable for the production of cakes and pizzas, gives to the product an exceptional softness that is conserved throughout the day even heating of the product. The high content of potassium in the rye bread makes it particularly valuable for the liver. The low glycemic index of rye makes this bread particularly suitable for those with blood glucose problems. It is a mixture of flour “0″, spelled and oats combination with sunflower and sesame seeds which give the bread a crisp crust and a light and pleasant nutty flavor. Moreover, thanks to the presence of oil seeds the finished product is preserved for a long time. The soy is a valuable alternative source of protein, lipids and carbohydrates. This type of bread has a high nutritional value. The presence of milk in powder gives the bread a taste extremely delicate. Tartasol is a product with a clever mix between a flower of the soft wheat flour and the best durum wheat semolina, whichgives the bread a rich taste. The crust is thin and crispy.